What over-the-counter (OTC) products cure or soothe a cough? What prescription drugs cure a cough? How can I get rid of a nighttime cough? What kind of a doctor treats a cough? When should I see a doctor about a cough? A cough is a reflex that helps clear your airways of irritants. Nerves in the airways become stimulated by allergens, medical conditions, medications, and other irritants, resulting in a forceful expulsion of air from the lungs. Allergens: pollen, dust, animal dander, mold, etc. Medications: ACE inhibitors, beta blockers. A dry cough is usually the result of cold and flu viruses, allergies, acid reflux, ACE inhibitor medications, and irritants such as cigarette smoke. A wet cough is often caused by cold or flu viruses, or chronic obstructive pulmonary disease (COPD). A persistent, or chronic, cough is one that lasts more than 3 weeks and may be caused by heart disease, asthma, lung disease, bronchitis, and whooping cough. Not all coughs are "contagious." Knowing the type of cough you have will help in finding the underlying cause (infectious or noninfectious). Which of the following causes of a cough do you think are contagious? Once the cause of your cough is diagnosed and you have ruled out any serious underlying medical conditions that need to be treated, symptoms of cough often may be treated or cured with home remedies. Talk to your doctor before using any herbal remedies or natural supplements as some may interact with medications you take. Stay hydrated: Drink lots of water to thin mucus. Inhale steam: Take a hot shower, or boil water and pour into a bowl, face the bowl (stay at least 1 foot away), place a towel over the back of your head to form a tent and inhale. Stop at any time if you feel uncomfortable. Note: do not do this if cough is due to asthma, as steam may make symptoms worse. Use a humidifier to loosen mucus. Cough drops or lozenges soothe an irritated throat (do not use in young children). Saltwater gargle clears mucus from the throat. Use an extra pillow to elevate your head at night. Avoid inhaled irritants such as dust, perfumes, or pollutants. Use honey. It can be used alone in adults and children over 1 year of age, and acts as a cough suppressant. Ginger tea soothes throat inflammation. Eucalyptus oil: Use it in a vaporizer or rub on your chest to help break up mucus. Mint: Often taken as a tea, it helps loosen mucus in the lungs. Menthol is commonly found in lozenges, and it can soothe a cough. Licorice root acts as an expectorant. Slippery elm coats and soothes the throat. Apple cider vinegar (diluted or mixed with honey) helps thin mucus. Turmeric may help ease digestive problems and can help if cough is caused by GERD. Chicken soup may ease symptoms of upper respiratory tract infections. And because we saved the best for last...save some chocolate! Theobromide, and ingredient in chocolate, may actually suppress vagus nerve activity that causes coughing. There are a number of over-the-counter (OTC) cough medicines available to soothe or cure coughs. There are two main types of cough medicines, 1) cough suppressants, and 2) expectorants. These can be found in tablet or cough syrup form. Vicks 44 Cough and Cold. Expectorants work by thinning mucus. The only OTC expectorant is guaifenesin, found in products such as Mucinex and Robitussin Chest Congestion. Dextromethorphan and guaifenesin are often found in combination products, for example, combined with each other in Robitussin DM. 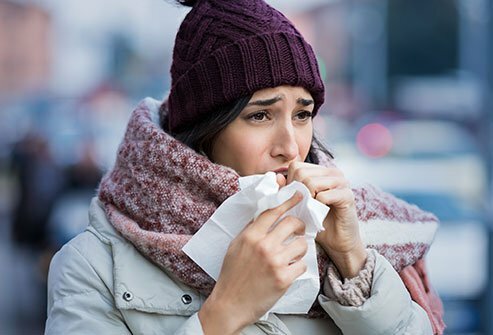 These medications also may be combined with other medicines that help relieve other symptoms of colds such as pain relievers, decongestants, or antihistamines. If your main symptom is cough, it usually is best to avoid products that contain antihistamines, such as diphenhydramine (Benadryl), or decongestants, such as ephedrine (Sudafed) because these have a drying effect, making mucus thicker and harder to clear from your airways, which can worsen cough symptoms. For cough due to postnasal drip, decongestants such as pseudoephedrine (Sudafed) or antihistamines such as diphenhydramine (Benadryl) may improve symptoms. When cough is severe, over-the-counter (OTC) medications and home remedies may not be enough to relieve symptoms, and prescriptions may be needed. Codeine and other narcotic medications are often prescribed as effective cough suppressants. Many times these are combined with the cough suppressant dextromethorphan, or the expectorant guaifenesin. If cough is due to whooping cough, bacterial pneumonia, complicated bronchitis, or sinusitis it is usually treated with antibiotics such as penicillin, cephalosporins, or azithromycin (Zithromax). For cough due to allergies, such as hay fever, inhaled nasal steroids may be prescribed. For postnasal drip that does not respond to OTC drugs, nasal inhalers such as ipratropium bromide (Atrovent) can help. If cough is a result of asthma, prescription inhaled bronchodilators and inhaled steroids help decrease inflammation of the airways. Short-term oral steroids, which help reduce inflammation, are sometimes prescribed to relieve chronic cough. Use extra pillows for postnasal drip or if you have acid reflux to prop up the head of your bed. When you lay flat, the mucus or acid reflux irritates your throat. Raising your head allows it to drain. Take a steamy shower before bed (note: if your cough is due to asthma, steam may make it worse). Use a humidifier. Moist air can help relieve cough. However, if cough is due to allergies such as dust mites or mold, which thrive in damp air, be careful not to make the room too moist. Keep your bedding clean. If your cough is due to allergies, it is important to make sure dust mites don't have a place to sleep as well. Wash all bedding at least weekly in hot water, and dry in a dryer, not a clothesline. Drink decaffeinated tea with honey before bed. The warmth of the tea will soothe a sore throat and the fluid will help thin secretions. Herbal teas with ginger, peppermint, or licorice root may also soothe cough. Use a vapor rub, such as one with menthol, to help open airways. Keep everything you need near your bed. If you have a cough, make sure you keep your cough medicine, lozenges, a glass of water, or anything else that helps you, on your nightstand for immediate relief. Avoid using perfume, air freshener sprays, or other irritants in the bedroom. Try (OTC) cough medicines that contain cough suppressants (which block the cough reflex) or expectorants (which loosen mucus). Ask your doctor or pharmacist for a recommendation. Your primary care provider (PCP) such as a family practitioner, internal medicine specialist, or pediatrician may diagnose and treat a cough. If cough is severe an emergency medicine specialist may see you in a hospital's emergency department. People suffering from chronic or persistent cough may be referred to different specialists depending on the underlying cause. If you have allergies, you may be referred to an allergist. If your cough is due to gastroesophageal reflux disorder (GERD) you may be referred to a gastroenterologist, who specializes in diseases of the digestive tract. If you have lung disease you may need to see a pulmonologist, a lung specialist who treats diseases of the airways. If your cough is due to an underlying heart condition, you will be referred to a cardiologist, a specialist in diseases of the heart and circulatory system. These signs and symptoms in addition to cough may indicate a more serious condition that needs treatment by a doctor. American Academy of Pediatrics. "Coughs and Colds: Medicines or Home Remedies?" Updated: July 13, 2015. Harvard Health Publications. "That nagging cough. 27 August 2015." Updated May 17, 2016. Meneghetti, A, MD. Upper Respiratory Tract Infection. Medscape. Updated: Feb 17, 2018. New Scientist. "Persistent coughs melt away with chocolate." Nov 22, 2004. NIH. "What Causes Cough?" Updated Oct 1, 2010. NIH. "Licorice Root." Updated: Dec 01, 2018..
NIH. "Eucalyptus." Updated: Dec 19, 2017..
NIH. "Slippery elm." Updated: Nov 05, 2017..
Science Daily. "New Study Supports Chicken Soup As A Cold Remedy." Oct 19, 2000. Please share your experience with an excessive or chronic cough. What natural or home remedies have you found helpful in getting rid of an excessive cough? What over-the-counter medicine have your found helpful in getting rid of an excessive cough? What have you found to be helpful in getting rid of a nighttime cough? Please share your experience with a cough, including chronic coughing. Your experience may help others. What natural or home remedies do you find helpful to sooth a cough? What over-the-counter or prescription medicine helped or cured your cough? What things have you found to be effective in soothing a nighttime cough?